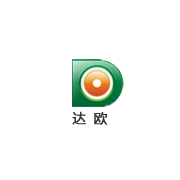 ﻿ Jiangsu Yongda Pharmaceutical Co., Ltd.
Jiangsu Yongda Pharmaceutical Co., Ltd. It produces over 50 varieties of medical bulk materials and medical intermediates. Jiangsu Yongda Pharmaceutical Co., Ltd. is located in Changzhou Binjiang Chemical Zone of beautiful and rich south bank of Yangtze River. It produces over 50 varieties of medical bulk materials and medical intermediates.